Hunters Harrow Preston Road Estate Agents & Lettings Agents have grown to be one of the largest, most heavily staffed and most trusted Estate Agents in Harrow & Wembley. The average house price in Harrow is around £650,000, and Wembley around £600,000. Typically you can buy many a nice 3 bed property in the area for below these figures or a nice 3-bed semi detached family home working upwards from said figures. Properties are quite an eclectic mix and can range from lovely 1 2 and 3 new build and older style apartments, 1930’s houses plus period houses right up to large "Mansion-Style" residences in an assortment of residential streets to lovely suburban, tree-lined avenues in the much sought after areas of Barn Hill, Mount Stewart, Preston Park, Sudbury Court Estate and also the famous Harrow on the Hill only a mile or so from Harrow centre. There are many larger homes in the area and it is not uncommon for estate agents here to be handling properties in excess of £1m. We continually have lots of great properties for sale in Harrow and Wembley, and we are constantly inundated by fresh enquiries from homebuyers (both domestic and foreign) plus there is constant very high unabating demand from would-be tenants and`we work really hard to ensure we match tenants with fantastic properties that meet their requirements. Moreover with the University and The Lycee' Internationale Winston Churchill both Sales and Rental markets in Harrow and Wembley are increasingly more buoyant and it is a popular area with investors/landlords because we work closely with the big employers both in Central London plus Wembley & Harrow as they bring lots of tenants to the area, this means it’s a great time to invest in rental property too. There are lots of investment opportunities for landlords offering safe returns and high capital values. We believe it is important that we all work together. Allow us to introduce you to the Hunters Estate Agents Wembley & Harrow award winning team! 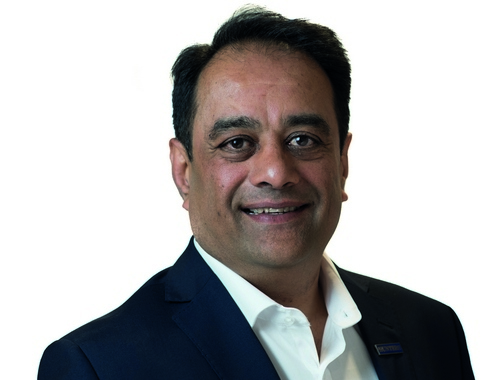 Hunters Harrow Estate Agents Franchisee, Hari Patel, is vastly experienced with decades of unsurpassed experience in both Sales and Lettings. Hari has been in the estate agency business since 1986 and lives locally on the prestigious Harrow on the Hill. Hari runs the branch alongside a fine experienced sales team complemented by one member of staff who has opened and run offices for some of London's most high profile estate agentsand who can boast over 25 years of experience also. The team also has highly experiebce and successful sales negotiators in Jay Parsad and George Rosoriou who have both been with Hunters for a number of years. As a branch, we are always on hand to do viewings on weekends and evenings so please do not worry about asking for a late appointment! Other members of the Hunters Preston Road branch team include Nishi Shah, Sam Rasul, Rashila Khimasia, Iuilian Curca and Samir Gohil - our in house Independent Financial Consultant/ Mortgage Adviser. Excellent Customer Service!! Bought my house through them and they rented it out for me. They found me a tenant on the day of completion. Highly recommend the team at Hunters. Special thanks to Harri for sourcing the place for me and Sam for finding me a good tenant. Thank you for all you effort and for going above and beyond. Extremely professional and honest agents. Highly recommended!! Great experience! Yesterday I just got straight away my dream house. I and my family now we settled because of them and really good value! They know how to negotiate prices for you and they do care about customers! Well done HUNTERS! Click to view preferred suppliers for Hunters Harrow. VAT Reg No: 832 4281 43 | Registered No: 04848072 | Registered Office: 248 Church Lane, Kingsbury, London, NW9 8SL. A Hunters franchise owned and operated under licence by Preston Road Properties Limited. Harrow is the 12th largest London Borough in terms of geographical area. Harrow was formed in 1934 as an urban district of Middlesex. Harrow is well known for Harrow School, a prestigious boys' public school, attended by seven future Prime Ministers including Winston Churchill. Harrow is centrally located to many local amenities, including transport links, local schools and shopping malls which opens its self-up to any to type of buyer be it first time or investor. Harrow is also a very attractive place to rent with all types of property choices. Harrow is a unique part of Middlesex, combining English tradition, history and charisma with all the zest and convenience of a contemporary, diverse community. Harrow offers fashionable shopping malls, trendy restaurants, a lively nightlife and excellent transport links with numerous bus routes and Metropolitan, Jubilee and Bakerloo lines. Additionally, Harrow is a vibrant part of the London economy with over 10,000 businesses located here. The borough has a strong entrepreneurial tradition characterised by a thriving small business culture. Harrow’s resident communities contribute to the borough being the most diverse borough by Faith in the country with more than 80 places of worship representing faiths. One fifth of Harrow is composed of parkland and open spaces, creating a green belt equivalent to eight Hyde Parks.